In Memoriam: Prince - puffy shirt productions no frills theatre. 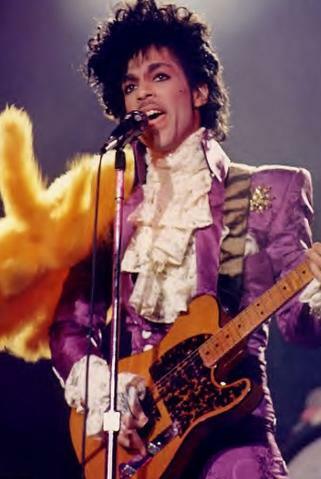 We were saddened to hear of the untimely death of the musical genius known simply as Prince. In honor of his Purple Badness, Puffy Shirt Productions would like to take this moment to celebrate the creative philosophy behind the "original" puffy shirt bearer's last performances. The electrifying artist left this world in the midst of his Piano and a Microphone tour; an intimate and completely stripped down show. No guitars. No dancers. No fireworks. In a statement to the press, Prince said: "Why do this now? For several reasons. For starters it is a challenge. I rarely get bad reviews because this is something that's been perfected for over 30 years. You have to try new things. With the piano it is more naked, more pure. You can see exactly what you get." Our own philosophy of "no frills" theatre has also been an important staple to our shows. No pyrotechnics. No smoke machines. No dazzling sets. So may you enjoy the vast discography The Artist left for us. Enjoy every elegant emotion, every swell and scream, every guitar riff and awe-inspiring performance. And as per his royal wishes, put down your cell phone and go support your local Wrecka Stow. Then, go out and support a local theatre group! And keep coming back for show updates.